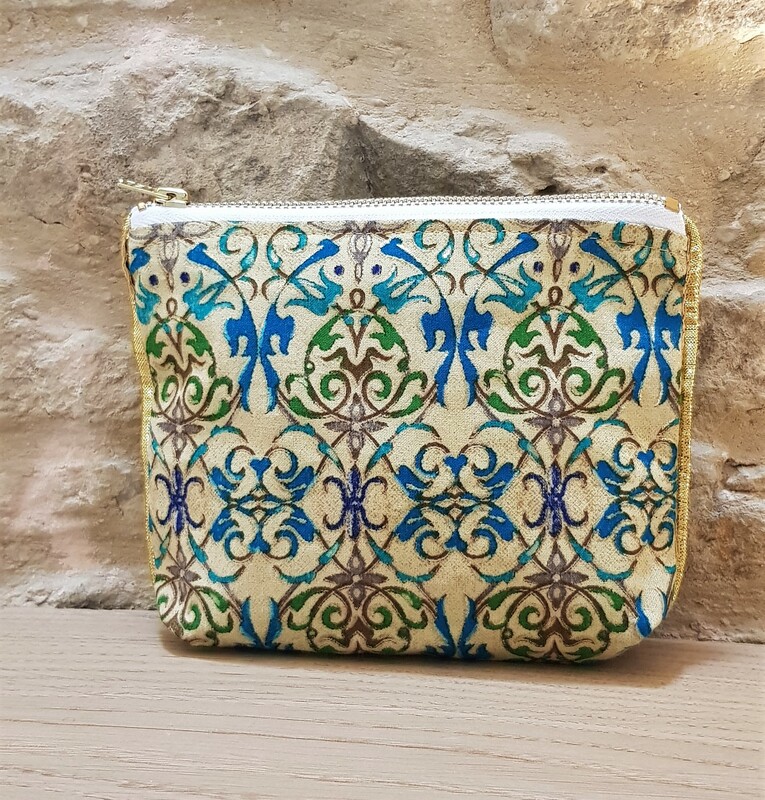 Small make up bag-cosmetic purse in lovely printed cotton fabric with gold colour trimming and a zipper closure. The size is just ideal for those days when you don’t need to carry a whole load of cosmetic items with you. This pretty small make up purse – cosmetic purse is made from lovely printed cotton fabric in yellow and teal with gold colour trimming.Ideal as a small make up bag,coin purse etc.It also makes for a good gift bag.Fully lined with cotton fabric and secured with ykk zipper. 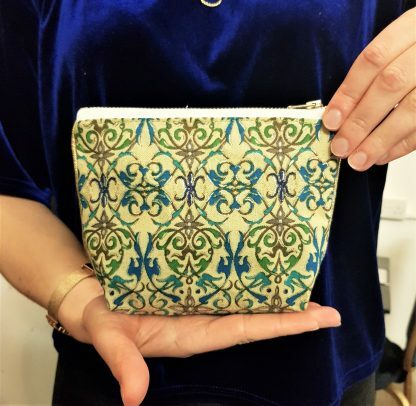 This purse is a Fair trade item,hand made by a member of Enfair team. 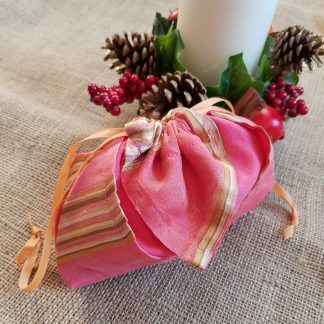 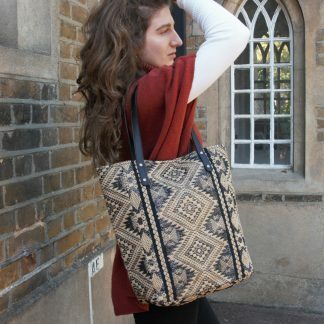 Enfair is a North London based Fair trade enterprise which showcases handcrafted fashion accessories made by female artisans from disadvantaged backgrounds in India.Our objective is to empower these women with life skills including sewing and embroidery so that the skills they learn enable them to earn a decent income. 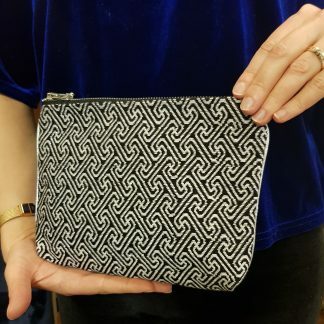 Enfair takes pride in using handwoven,recycled and locally sourced material as much as possible.A huge amount of love,creativity and skill goes into each of of our unique products. 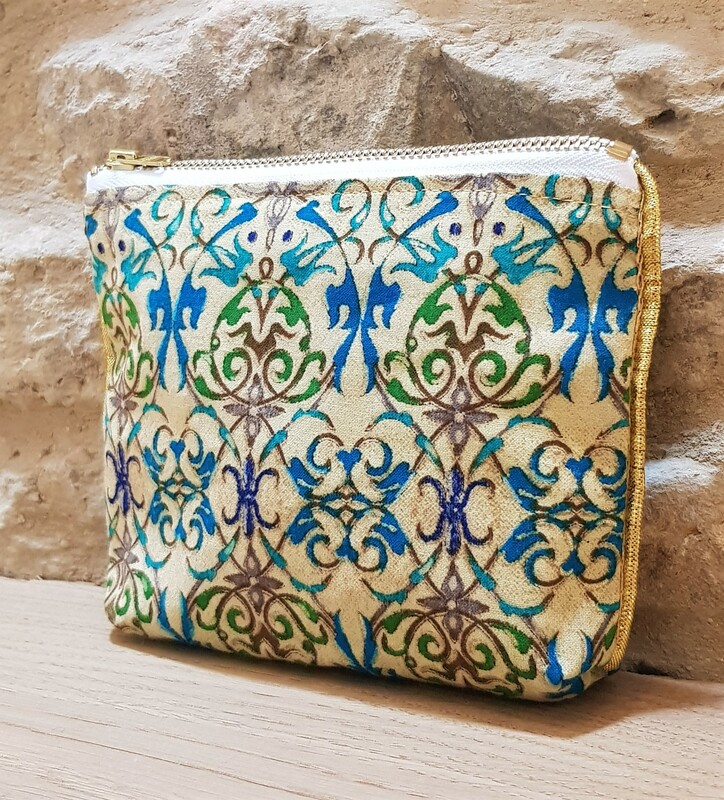 Mali evening/day purse in multi colour.